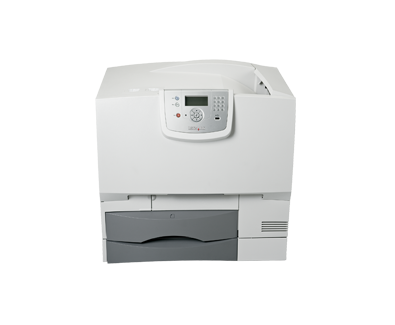 Lexmark's affordably priced C770dn colour laser printer offers brilliant colour, rapid 24 ppm output speeds, and a rich range of tools to drive down costs. From toner-coverage estimators to IT-administered password controls, Lexmark's industry-leading ColorCare technology lets you manage costs effectively at every level of your workflow. Now you have the tools to decide who can print what, when, where and how much! Working is now simpler than ever thanks to a range of new user-friendly features, like a USB Direct interface for convenient PC-free printing, and a 10-digit numeric pad for effortless operation. You also benefit from a simplified driver interface, easy-to-load consumables and more.